The Dolphins earned a nine-wicket over the Warriors in their Momentum One-Day Cup at St George's Park in Port Elizabeth on Wednesday that sees them leapfrog the Warriors into second place on the log and set them on course to host a home semifinal. The Dolphins successfully chased down what looked like a tricky target of 224. Vaughan van Jaarsveld and Sarel Erwee strode out to front the Dolphins chase while Basheeru-Deen Walters and Glenton Stuurman took the new ball for the Warriors. As expected with a modest total, the openers were circumspect in their approach early on. The Warriors, who won the toss and elected to bat first, took a similar approach up front as Gihahn Cloete and Eddie Moore put on 32 for the first wicket in seven overs before the latter became the first of Okuhle Cele's three victims. Jon-Jon Smuts's 76 held things together for the Warriors but the Dolphins kept on taking wickets limiting their ability to boost the run rate at critical points. Proteas test stalwart Keshav Maharaj also sent down a miserly ten overs for the Dolphins, conceding just 28 runs and claiming the wicket of Marco Marais for a dozen as the Warriors finisher looked to tee off. Loose bowling and some poor fielding allowed the Dolphins to accelerate in the powerplay in a way that the Warriors were unable to due to the sharp bowling of the visitors. Stuurman's third over was picked apart by van Jaarsveld, before Erwee cashed in on a generous over of Moore's off-spin. Victory for either side would guarantee a place in the semifinal meaning neither side were able to entirely rid themselves of pressure, but the Dolphins raced to 97 without loss in the first 15 overs and looked to be in charge. Van Jaarsveld looked to have rediscovered his early season form and dominated the bowling until he was outfoxed by Walters who had him caught for 83 off 77 balls to leave the Dolphins 147 for one. With Erwee still well set on 59 and Marques Ackerman joining him the Dolphins remained well placed. Erwee took over that dominant role as the match wore on and out the Dolphins in firm control and only complete disaster could then prevent them from snapping a three-match losing streak. The left-handed opener lashed 105 not out while Ackerman was on hand to smash the winning runs with a six that took him to an unbeaten 34. WARRIORS: Ed Moore, Gihahn Cloete, Yaseen Vallie, Jon-Jon Smuts (captain), Thomas Kaber, Basheer Walters, Glenton Stuurman, Sisanda Magala, Sinethemba Qeshile,, Marco Marais, Onke Nyaku. 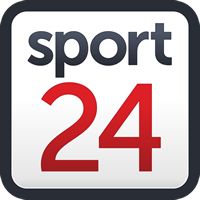 DOLPHINS:Sarel Erwee, Vaughn van Jaarsveld, Marques Ackerman, Dane Vilas, Khaya Zondo (captain), Sibonelo Makhanya, Senuran Muthusamy, Keshav Maharaj, Calvin Savage, Eathan Bosch, Okuhle Cele.